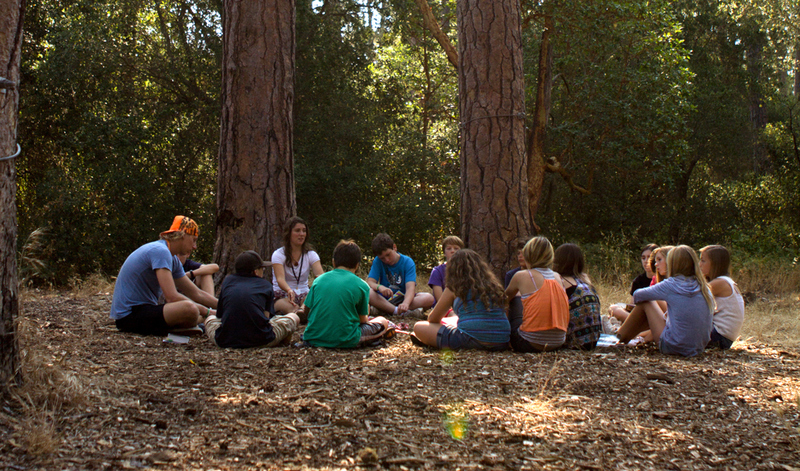 Mount Hermon Adventures Team Building program recently hosted a return group from Fresh Lifelines for Youth (FLY). FLY is an award winning non-profit dedicated to breaking the cycle of violence, crime and incarceration of teens. Through FLY’s unique and powerful combination of programs-legal education, leadership training, and one-on-one mentoring-youth get off probation, engaged in school, and back on track with their lives. 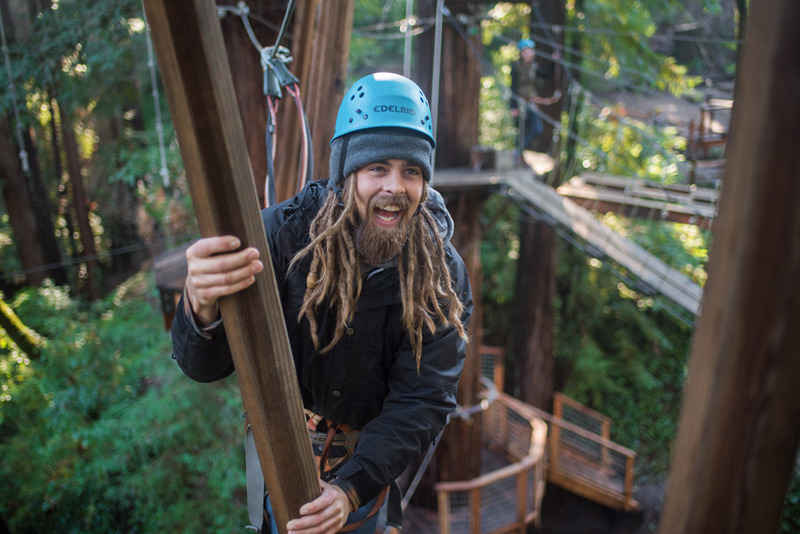 We’ve worked with FLY for years to include Team Building and Aerial Adventure experiences into their curriculum as the catalyst for creating lasting change in the lives of these young people and their mentors. 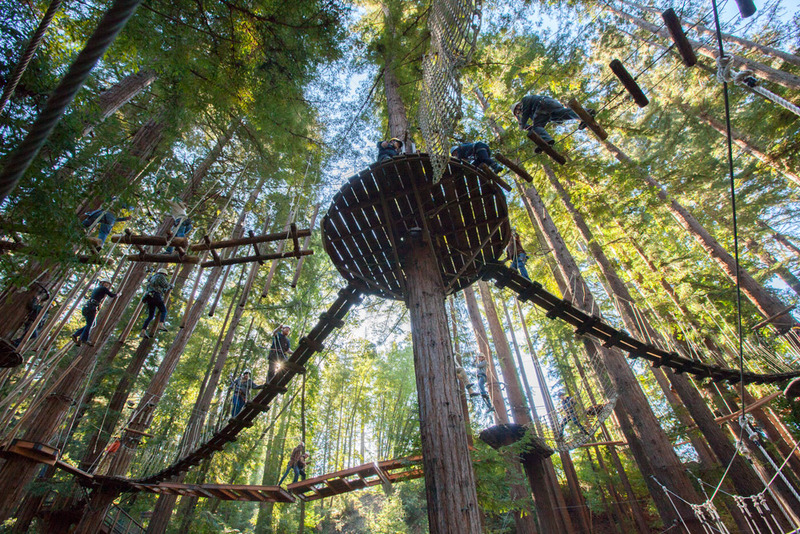 “Along with my co-facilitators, we created a series of activities and initiatives that built in difficulty throughout the day, ending in the big finale… Sequoia Aerial Adventure! The activities we do with the students are not only fun, but also educational. Not the kind of education you get from reading a textbook, the education of interacting with other people. Working with other people is an essential skill in breaking a cycle of bad decisions, which is one of the many reasons why team building activities can help prepare people and teach them about working in a group, communication, leadership roles, and trust. The first activity we facilitated seemed just like any other tag game but we used that tag game to later talk about what it looks like to step out of our comfort zones. Many of the students preferred when they stepped out of their comfort zone saying it made it more interesting and fun! From that first game we asked if that was something they would be willing to try all day… to continue to step out of their comfort zones, and try new things. That they might surprise themselves and end up having a lot of fun… but most importantly LEARNING something about themselves and others! The students were willing to share about what they learned and how it could apply to their lives back at home. All these topics come up in the games, but there is a transfer of learning that must happen in order for team building to be successful. They took what they learned from one activity to help complete the next. The morning of activities and initiatives were wrapped up and one thing that stood out for this group was the ability to ask for help. Out on the Sequoia Aerial Adventure they had to communicate with their partners to go through various challenges. Students had to ask their partners for help when completing the challenges. Some of the students really pushed themselves and completed an obstacle with their eyes closed while their partner guided them through verbally. Trust, communication, and team work all rolled into one! The activities we did in the morning gave the students confidence to try out harder obstacles. Lots of students stepped out of their comfort zones, that was just one example of many. The zip line at the end was a reward for most of the students. After all the hard work and challenge the zip line was a fun finish to the end of the day. My personal favorite part of the day is the final debrief or discussion of the day. This is where the magic happens and things get put into perspective. It is a time for students to reflect on what happened, so what does it mean that it happened, and now what will they do differently because it happened.